Colonial women often had one goal as they grew up: to get married. They often married young and not commonly for love. Though their lives were full of hardship and hard work, they lived during interesting times! 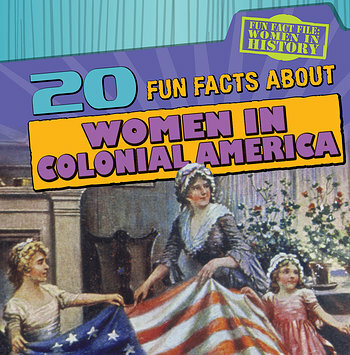 Fun, surprising, and silly facts engage readers in the lives of women during the colonial era. From plantation owners' wives to indentured servants, the women in the colonies had varied duties and experiences that readers will find fascinating and enjoyable in this format. Colorful photographs and historical images enhance this playful perspective on history and the social studies curriculum.